The new chief of General Motors vowed to keep a steady hand on the wheel Thursday as she seeks to expand global market share and complete a major turnaround at the US automaker's troubled European unit. "To me, what's important is we're focused on the product," Mary Barra, who took over as chief executive officer last week, told reporters at GM headquarters in Detroit. 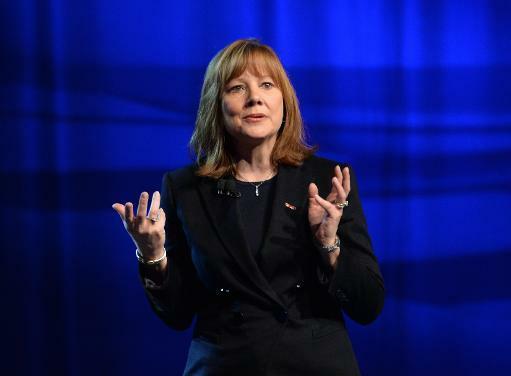 Barra said she did not expect to make major changes in the strategies she inherited from outgoing chief Dan Akerson, who successfully steered GM back into profitability and independence after a government-backed bankruptcy. "There is a strategy and the word (from me) is accelerate," she said in her first lengthy discussion with journalists since becoming the first woman to head a major automaker. "Don't expect any right or left turns." GM plans to maintain robust investment in the development of new vehicles and continue its disciplined approach to pricing and incentives even as the rapid growth in US sales is expected to plateau. "We're in it for the long term," said Barra who started her career with GM more than 30 years ago and worked her way up through the ranks after receiving a degree in electrical engineering from the old General Motors Institute in Flint. "We have to maintain the fortress balance sheet. This is a cyclical business. We want to make sure we have the financial performance that allows us to reinvest in the business." GM, which for 77 years was the world's largest automaker in terms of sales before being overtaken by Japanese rival Toyota in 2008, was once again relegated to second place Thursday when Toyota announced record 2013 sales of 9.98 million vehicles. GM sold 9.71 million cars last year, while Germany's Volkswagen logged annual sales of 9.5 million. While she didn't indicate any strong desire to regain the crown, Barra said she was "looking for modest share growth" both in the United States and globally. "We have a strategy. I think there is a lot of opportunity," around the world, she said. 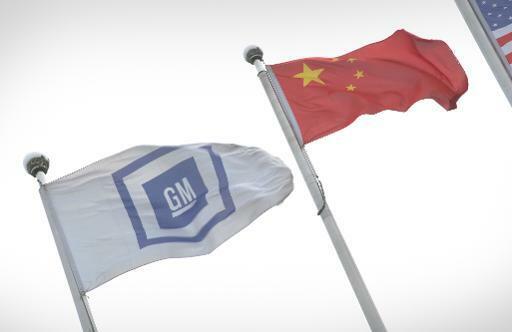 Barra expects GM to continue its expansion in China where the company and its partners are second behind Volkswagen. "Clearly we have great opportunities in China," she said. Europe -- where GM has lost money for 16 consecutive years and expects to post another loss when it reports 2013 results next month -- remains a trouble spot. But Barra expressed confidence in the automaker's restructuring plan, which aims for profitability by mid-decade, and said she doesn?t have any kind of hard and fast deadline for the turnaround to be complete. "Europe is an important market," Barra said. "I'm a glass half-full kind of person. I think Europe is very great opportunity for GM." While it's "important to operate profitably everywhere we operate," Barra noted that the automaker's transformation in Europe -- and particularly at its subsidiary Opel -- is nonetheless impressive. "We're no longer talking about the viability of Opel," said Barra, who has served on Opel's board for the past couple years. "Instead the focus is on showing of Opel products and rebuilding the image of the Opel brand," she said. "We're going to do everything we can to strengthen the Opel brand."